The Construction Marketing Ideas Google Plus Page. You are welcome to "circle" it. After reading two truly different books, I’ve received two truly different perspectives about the potential and value of social media for marketing in general. My perception is these perspectives, if you take them to the extreme, are magnified by an order of magnitude for construction marketing. Chris Brogan, who rose to fame initially by discovering the potential and value of Twitter, has come to the fore again with the first published “conventional” book about Google+. Google+ for Business: How Google’s Social Network Changes Everything seems rather hastily written, but that is not a criticism — Google+ has been available for less than a year and its business-page variant has only been “public” for an even shorter time. With my active involvement within the Google help forums, to the level that I’ve flown at Google’s expense to a summit and visit to the Mountain View campus in northern California, I’m also undeniably one of the earliest users of Google+. 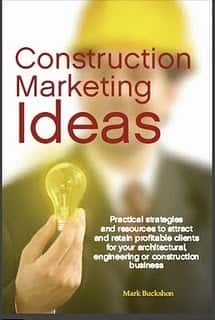 My Construction Marketing Ideas Google+ site has a grand sum of 24 people its circles and 97 users have added my personal account to their circles. Chris Brogan has 75,370 in his circles — a rather larger number, and growing rapidly — but he has circled a much smaller number of users. If you are approaching Chris’ level of following, obviously you can obtain some marketing traction from social media; but, realistically, can you hope to even reach that level anytime soon? Allan Weiss (blog at www.contraianconsulting.com), in his book Getting Started in Consulting advocates all of the basics for self-promotion and marketing for independent consultants. Write a book, he suggests, or at least plenty of useful articles and stories. Give speeches. Develop a personal marketing strategy. Promote yourself to become an expert. But he pours cold water on the idea of using social media to build your reputation. Q. I’m told that I should invest more heavily in the Internet and access to social networks, blogs, and so on. Does that make sense? A. No, because corporate executives who are purchasing consulting services do not do so through Twitter, or Facebook, or LinkedIn. You may avail yourself of these communications alternatives for personal benefit, but this is a relationship business based on referrals and your explicit expertise reaching key buyers through their favored means: colleagues, interviews, publications, public appearances, and so on. Weiss of course has a blog and “presence” within the social media but he points out that most of the gurus who claim success with social media marketing have really achieved their success through other means, and social media just supports the process. Undoubtedly, the best social media gurus are also excellent marketers and self-promoters. Brogan is on the speaking circuit, for example, and offered followers a big discount on future speaking engagements if the requesting organizations put bulk orders for his Google+ book right away — boosting the Amazon rankings and of course traction for the new (printed) book. I can see both sides of the story here. 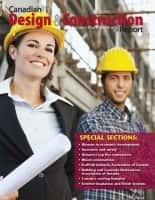 Undoubtedly, my thought leadership within the AEC community — which is notoriously slow to adapt new techniques and certainly has only recently embraced social media — has helped my business. I’ve sold books, achieved some speaking engagements, and we’ve sold a meaningful volume of advertising in our publications because of leads generated here. But it isn’t the magic cure and I’m probably achieving some success because, as a writer/journalist, I’m both competent at and enjoy blogging and communicating this way. I can see the challenge being much greater if you are an engineer, sub-trade or general contractor, however. As for Google+, I welcome you to sign up for the program and invite me into your circles. As a test, I’ve communicated with two separate organizations on which I am a voluntary leader. It seems I’m the first member in both of these groups to actually use the Google+ service. Quite shocking, then, that Chris Brogan can already have more than 75,000 users “circling” him. This speaks to the power of self-marketing and the power curve. If you are reading this blog, can you aspire to be one of the top players with the resulting “power” in the social media space? I think not, unless you define your community carefully and focus within that special niche. If that is the case, go for it. You may be impressed by the results you achieve.